Tasting Note: This light-to-medium bodied chardonnay delights the senses. Mildly-aromatic, the wine has a nose of pear and vanilla with secondary barrel-aging showing on the top. On the palate smooth caramel and vanilla characterize the main body of the taste. 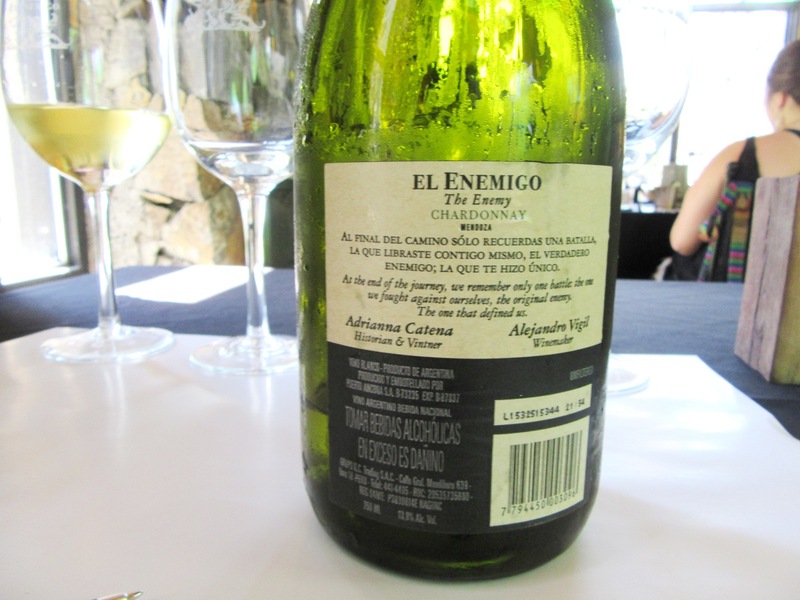 Known for producing blends, this chardonnay is El Enemigo’s only wine made 100% from a single grape varietal. Because the chardonnay is aged in second and third use French oak, the oak’s influence does not overwhelm.